Dr. Xi-Cheng Zhang graduated from Peking University in 1982 and received his PhD in physics from Brown University, Providence, RI in 1986. He was a visiting scientist at MIT in 1985; 1985 to 1987, he worked in the Physical Technology Division of Amoco Research Center; 1987 to 1991, he was in the Electrical Engineering Department at Columbia University. Dr. Zhang joined Rensselaer in 1992. In 1993-94, he was an AFOSR-SRPF Fellow at Hanscom Air Force Base. He was a distinguished visiting scientist at Jet Propulsion Lab - Caltech in 2006. Dr. Zhang was professor and acting head of the Department of Physics, Applied Physics and Astronomy and Professor in the Department of Electrical, Computer and System, founding director of the Center for THz Research at Rensselaer, and co-founder of Zomega Terahertz Corp. Dr. Zhang served as chairman of NATO Sensor and Electronics Technology Task Group (2007-2010) and Chairman of NATO Exploratory Team (2005-2006). Dr. Zhang received 29 US patents; authored and co-authored 24 books and book chapters, 330 refereed papers; delivered 500 colloquia, seminars, invited conference presentations, and 200 contributed conference talks. His H-index is 81. (Google Scholar on 7/2017). Dr. Zhang is a fellow of AAAS, APS, IEEE, OSA, and SPIE. 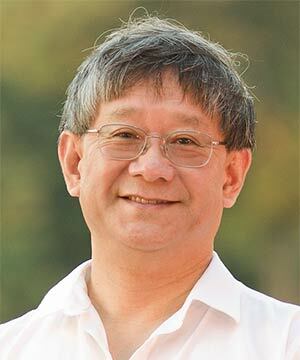 Dr. Zhang's honors and awards include: Australian Academy of Science Selby Fellow ’17;International Society of Infrared, Millimeter, and Terahertz Waves Kenneth F. Button Prize ’14; OSA William F. Meggers Award ’12; Moscow University Honorable Professor '12; IEEE Photonics Society William Streifer Scientific Achievement Award ’11; Rensselaer’s William H. Wiley Award ‘09; the Trustee Celebration of Faculty Achievement Awards ’09, ’08, ‘07, ‘06, ’04, ‘03, ‘02, ‘01; First Heinrich Hertz Lecturer (Germany); International Commission for Optics Traveling Lecturer ‘03; fellow lecturer of Optical Society of America ‘02; K.C. Wong Fellow ’02; distinguished lecturer of IEEE/LEOS ‘98-99 & 99-00; Rensselaer’s Early Career Award, ‘96; Cottrell Scholar Award, Research Corporation ‘95; K.C. Wong Prize, K.C. Wong Foundation /Hong Kong, ‘95; CAREER Award (previous NSF-NYI), National Science Foundation ‘95; AFOSR-SRPF Fellow, Hanscom Air Force Base ‘93-94; Research Initiation Award, National Science Foundation, 92. Professor Zhang's research interests center around Terahertz waves, also known as T-rays, which exist within a frequency range between microwave and infrared. His research is focused on the generation, detection, and applications of free-space THz beams with ultrafast optics.